In simple words, cross-platform mobile app development is defined as the development of mobile apps that can run on multiple mobile platforms such as Android, iOS, Windows etc. The basic idea behind cross-platform mobile app development is to reach out to a wider audience. Besides reaching out to wider audiences, the concept of cross-platform app development also became popular after the BYOD (Bring your own device) trend grew in the business world. Under the BYOD trend, a company’s employees are required to bringin their own devices instead of using traditional desktops or devices provided by the company. This means that the employees are required to access the company’s applications and data on their own devices. This made it necessary for companies to develop mobile apps that could be used across different operating systems on the mobile devices. The market for cross-platform app development is estimated to reach $7.5 million by 2018. Due to the increasing popularity of this technology, there has also been a rise in the number of cross-platform development tools in the recent years. The latest cross-platform app development tools available in the market are resolving issues such as compatibility and security problems. While cross-platform mobile app development provides a cure to the mobile app development platform dilemma, it has its own share of challenges. In this blog post, we take a deeper look at the pros and cons of developing a cross-platform app. Cross-platform apps are very fast to develop as compared to the native apps for iOS and Android. This is mainly because cross-platform app development uses one base code for all the different platforms. This means that the developers do not have to spend time developing individual codes for each of the platforms. They just need to develop one code that works perfectly on all the mobile platforms. This makes the entire approach fast and efficient. Besides this, managing updates and changes on these apps is also simple, as any iteration is easily synced across all devices and platforms. This ensures the smooth operation of the app at all times. Since cross-platform apps use a single base code for different platforms, it automatically makes them cost-effective. However, the cost of the app increases with the increase in the number of customizations. Cross-platforms apps save time, save resource utilization, and ultimately, they save costs. Cross-platform development frameworks like Appcelerator and PhoneGap have huge plug-in libraries. Developers are able to access these extensions and modules easily and thus are able to enhance the range of app functionalities, look, and versatility. Cross-platform development frameworks allow easy integration with the cloud and enterprise services. This allows the app to work across different platforms and also allows it to be integrated with cloud services such as AWS and Salesforce. If developers choose cross-platform development, they automatically increase their market reach. This is because they do not have to choose one platform over the other, so their app will function normally across all mobile platforms and will expand their reach, as they’ll be able to interact with more number of users. In other words, as their app will run equally well on Android, iOS, and Windows, they’ll be able to reachout to three sets of audiences instead of just one. Cross-platform app frameworks do not provide 3D and graphics support. This restrains the developers from creating striking app designs. Besides this, the cross-platform firmware may not be able to support all the features and modules of iOS, Android, and Windowsto support the app framework. This restriction may have an impact on the stability of some of the features of the app. While building cross-platform apps, developers use the tools and suites supported by the framework. But in some cases, they might not be supported by the platform conventions of a specific platform. In such cases, the developer has to spend extra time and use native IDE’s to complete the task. At times the developers employ too many cross-compliance processes during the development of a cross-platform app. This impacts the speed at which codes run and as a result impacts the overall performance of the app. As development is not executed in the native language of the platform, the efficiency of the final codes becomes dependent on the translation engines. As a result of which the final code becomes bloated and the performance of the app is impacted adversely. As so many variables are associated with the operating systems, displays, and functionalities of the platforms, achieving optimal user experience becomes a major challenge with cross-platform app development. Each platform has its own features and styles, therefore creating an application that provides a superior user experience across all platforms becomes a major challenge, as the developers are not able to harness the capabilities of an individual platform. Despite the challenges associated with cross-platform development, it is widely adopted because of its faster time to market and its cost-efficiency. However, if one chooses the right cross-platform development tool that has a broad framework, which allows media-rich content, and has a massive library, then it smoothens the development process and bridges the functionality challenges. 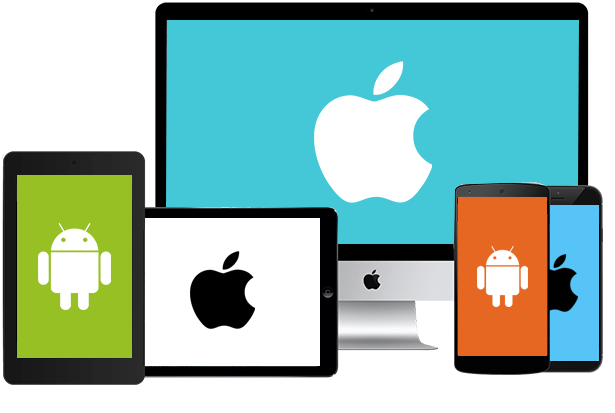 We at Queppelin specialize in cross-platform app development. We are also a custom iOS app development company and a custom Android app developmentcompany that has served various renowned brands globally. Contact us with your requirements today! 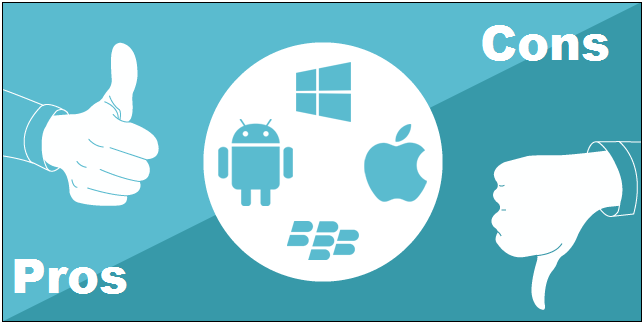 The post Understanding cross-platform mobile app development appeared first on Mobile App Development Company Android – ios – Web App | Offshore IT solutions Partner.